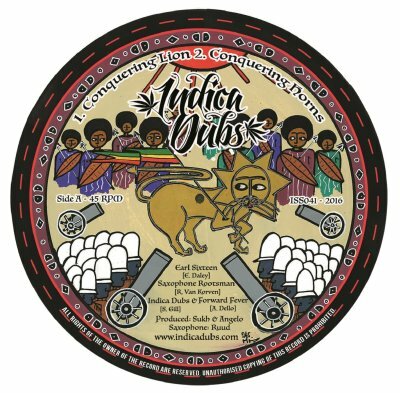 The forthcoming Indica Dubs release (release date 7th of March) brings two great voices and styles over pure session steppa vibes prepared by Indica Dubs. Earl Sixteen’s sweet singing in “Jah is Our Ruler” is followed by well-known Danman’s rub-a-dub style. On the flip side we get two dub versions. 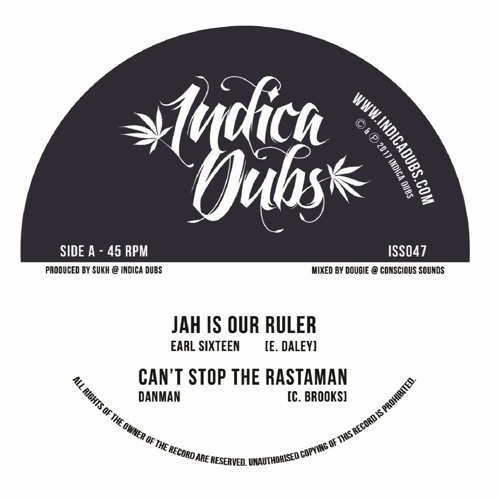 August release from Indica Dubs featuring two big vocalists – Earl 16 and Danman singing on rootical riddims. As ususal 100% soundsystem vibes! 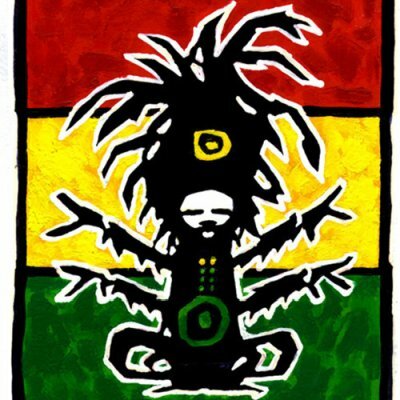 “Second Indica Dubs release to feature the Studio 1 legend, Earl Sixteen, after the hit release ‘Let Jah’ last year. Also, featuring Saxophone Rootsman (hailing from Holland) with the live sax on the dub mix. The flip side featuring non-other than Danman, outta the mighty Iration Steppas sound system. The third Indica Dubs release with Danman, with Shelly Ravid providing the backing vocals in the chorus. 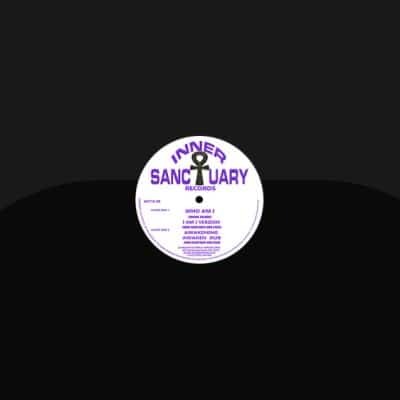 All tracks produced by Sukh (Indica Dubs) and Angelo (Forward Fever). Available from mid/late August 2016 at all good record shops worldwide. Two new 10” with solid roots & culture tunes coming from Keety Roots. 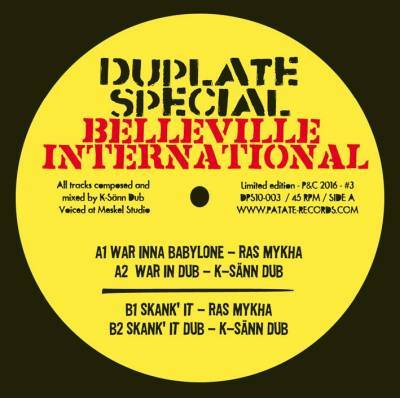 This new 10” release coming from Belleville International Dubplate Special series won’t have mercy for your legs at a dance or for your speakers at home. A massive electro-dub riddim in “War Inna Babylone”, prepared by K-Sänn Dub, runs madly with perfectly suited, dynamic flow and singing by Ras Mykha. The next tune won’t slower you down also. “Skank’ It”, as the name suggest, will transfer you (both lyrically and musically) to an energetic soundsystem dance. 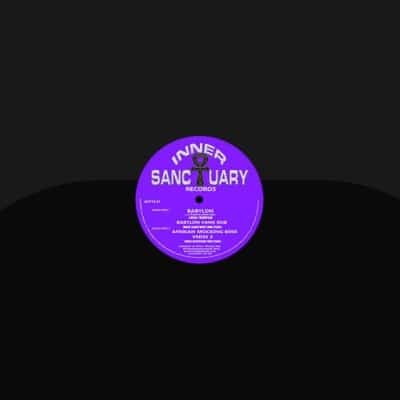 Two big releases out of Inner Sanctuary label and Jonah Dan. Linval Thompson revisits “Babylon” riddim, additional one with great Singing Cologne. “Babylon” was originally written and voiced in 1998 by Jonah Dan in the Disciples studio. 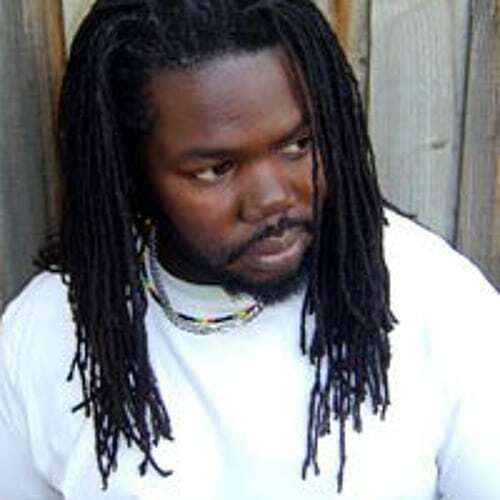 In 2012 Jonah Dan brought the legendary artist Linval Thompson to Rough Tuff studio in east London to put his Dancehall style onto 2 tracks and “Babylon” is one of those tracks. 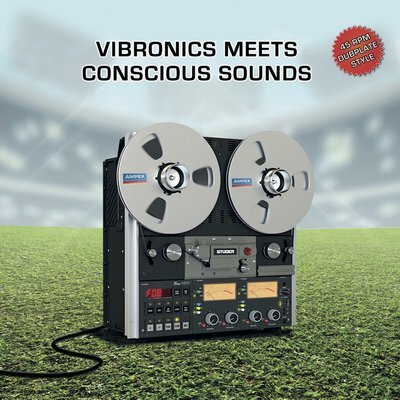 Since that time many soundsystems such as Iration Steppas and Channel One, including other sounds in Europe have requested Dubplate mixes of this popular track. Upon the same riddim “Who Am I” was voiced in late 2014 by up and coming Jamaican artist Singing Cologne, heavyweight soundsystem music delivered with a true rootical and conscious spirit.